David J. Goldschmidt represents investment banks and U.S. and international issuers in a variety of financing matters, including public offerings and private placements of debt and equity securities, and international securities offerings. Mr. Goldschmidt also counsels U.S. and international clients on an ongoing basis, including advising on corporate governance, SEC filings and disclosure issues. Mr. Goldschmidt is very active in representing and advising real estate investment trusts (REITs) in connection with capital market transactions, including many initial public offerings and general corporate matters. He represented the underwriters in the IPO of Brixmor Property Group, the largest retail REIT IPO in 20 years and Starwood Property Trust, Inc. in the largest mortgage REIT initial public offering to date. REITs Mr. Goldschmidt has represented include American Capital Agency Corp.; Arbor Realty Trust; Care Investment Trust Inc.; JER Investors Trust Inc.; Newcastle Investment Corp.; SL Green Realty Corp.; and Quadra Realty Trust, Inc. Mr. Goldschmidt also has significant experience advising investment banks involved in the REIT capital market arena. He has advised underwriters in connection with a variety of transactions, including offerings by iStar Financial Inc.; Mack-Cali Realty Corporation; Medical Properties Trust, Inc.; Ramco-Gershenson Properties Trust; and Vornado Realty Trust. 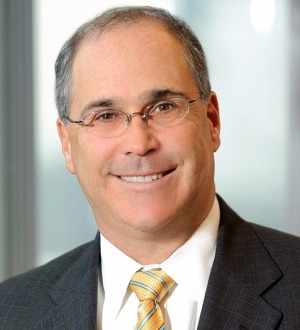 Additionally, he represented the underwriters in the initial public offerings of Cypress Sharpridge Investments, Inc.; Extended Stay America, Inc.; Invesco Mortgage Capital, Inc.; Javelin Mortgage Investment Corp.; Silver Bay Realty Trust Corp.; and ZAIS Financial Corp.
Mr. Goldschmidt also has extensive experience advising issuers and underwriters on offerings by high-technology and communications companies, including advising on offerings by Spotify Technologies SA; XM Satellite Radio Inc.; DRS Technologies, Inc.; AuthenTec, Inc.; L-1 Identity Solutions, Inc.; Saifun Semiconductors Ltd.; RRSat Global Communications Network Ltd.; and Camtek Ltd. In addition, Mr. Goldschmidt’s practice focuses on representing issuers and investment banks in connection with private and public securities offerings by Israeli companies. Mr. Goldschmidt has represented, among others, NICE Systems Ltd.; Koor Industries, Ltd. and the underwriters in connection with offerings by 012 Smile.Communications Ltd.; Barak International; Partner Communications Company Ltd. and Israel Chemicals Limited. He also provides Israeli clients with ongoing corporate advice. Mr. Goldschmidt also is involved in developing new financial products. For example, he was the lead corporate attorney involved in developing the IDS product, which is a unit representing a share of stock and high-yield debt. He also has developed alternative investment vehicles for Ellington Financial LLC and Highland Financial Partners. Additionally, Mr. Goldschmidt represents private companies in their venture capital financing rounds and joint ventures.